Venture out of the city with trips to Dolphin & Whale Watching (in Mandurah) and Fremantle Prison (in Fremantle). Dedicate the 11th (Tue) to wine at some of the top wineries in the area. Pack the 13th (Thu) with family-friendly diversions at Adventure World Perth Australia. 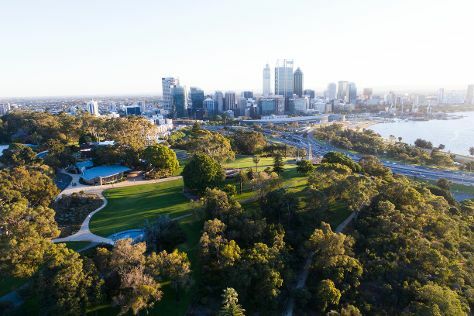 There's still lots to do: take in nature's colorful creations at Kings Park & Botanic Garden, kick back and relax at Cottesloe Beach, learn about wildlife with up-close encounters at Perth Zoo, and don't miss a visit to Elizabeth Quay. Quickly create a custom-made itinerary for Perth using our trip planner. If you are flying in from Malaysia, the closest major airport is Perth International Airport. In February, plan for daily highs up to 38°C, and evening lows to 20°C. Cap off your sightseeing on the 13th (Thu) early enough to travel back home.